Just the same way you have a favorite spot in your house, your dog also craves a piece of real estate within the house that she can call her own. After a hard day’s work, you probably like to lounge on your favorite sofa and watch the news, sports or catch up to the latest hot series. Your pooch, on the other hand, looks forward to that castle of hers tucked neatly in the corner of your house where she can safely lie down, contently gnaw on a bone or a doggy snack, and watch whatever it is you are watching with mild interest. If you are wondering whether you can actually put a kennel inside your house, the answer is yes! It can be done. Naturally, the kennel that you have for your pooch out in the backyard or the front porch would not be an aesthetic fit in your living room or any other section inside your house. However, you can find some pretty well-designed kennels that are light and stylish which blend perfectly with the indoor decor. 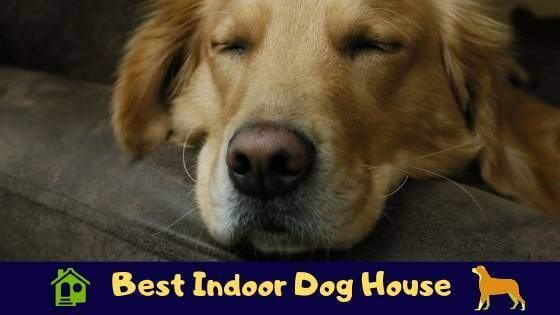 Later in this article, you will have a chance to explore some of the best indoor dog houses of 2019. But for now, let’s why you would want to get an indoor dog house for your pet plus what to look out for. 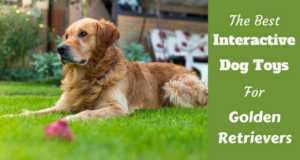 1 Why Get Your Dog An Indoor Dog House? Why Get Your Dog An Indoor Dog House? You probably already have some sort of sleeping area marked out for your pooches. For some parents, it might be a dog cushion, basket, or cage in one corner of the house while for others it might be a kennel outside the house. Knowing our dogs, most of them relish being close to us, and given a choice, they would opt to stay indoors with us after their regular adventures outside. An easy way to manage your pooch while she is inside the house is providing her with a cute, exclusive space of her own within the house. Getting an indoor house for her is the perfect solution. There are numerous advantages to this. First, it becomes easier to house train your pooch because she now can associate her indoor house as her private quarters. Second, good looks aside, you will find that a dog house indoors is a pretty good idea as it is light and portable should you need to move it around for any reason, such as cleaning or during road trips. 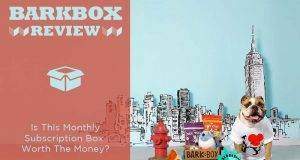 Because a DIY dog house takes quite some time, effort and a particular skill set to build, I would suggest you give the commercial ones a try as they are more convenient and versatile. Now that you have decided or are considering getting an indoor dog house, there are a few things that you will want to take into consideration to ensure that your pooch is comfortable. The size of your canine buddy does determine whether you get a large indoor dog house or a small indoor dog house. If your pet friend is a small breed such as a Maltese or a poodle, then a small indoor house will suffice. However, if you are a doggie parent to a mastiff or a Great Dane, then the size has to be much larger to ensure room and comfort. Fortunately, indoor dog houses come in a variety of shapes, sizes, and quality. The quality of materials used is made with specific consideration to the temperament of your pooch. Besides, it would be a shame to come home and find that your hound has chewed the indoor dog house to smithereens. Some dog houses for inside the house will only have an opening that serves as a door but without an actual door. Depending on your preference in terms of functionality, you can search for a version without a door or opt for an indoor dog house with a door that allows you the option of locking your buddy in when so desired. Most indoor dog houses are portable and lightweight. So, be sure the indoor dog house that you are about to purchase fits your preferences in terms of weight, sturdiness, toughness, design, functionality, and size. To keep my word, let’s now delve into reviews of some of the best indoor dog houses to suit the varied needs of your pooch. Many love the design and aesthetics of this indoor dog house. Its great looks enable it to blend well with most house decors. Actually, the dog house is constructed from kiln dried wood which has been treated with different stains to bring out an amazing look and enhances longevity. Given its lengthy exterior dimensions, your pet is assured of room and comfort. 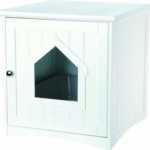 As for what size of dog it’s made for, this cozy little dog house is ideal for toy dogs. The design includes a well thought out staircase so your pooch can easily access the balcony without strain. Your buddy also has the option of nestling in the lower section. Also, the bottom is raised ensuring that inside always stay dry. Although made out of wood, this small indoor dog house is quite light and fairly portable. It is versatile in the sense that it can be used indoors and is easy to move outdoors when the sun is favorable. Would you love one for your pet? If yes, you can get it from a trusted online outlet such as chewy.com. 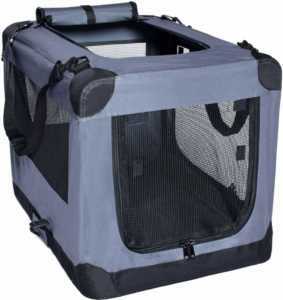 can be a bit more manageable as it helps to secure and confine your dog in a comfy space. The Arf Pets Soft-Sided Crate is made from a tightly woven material that is tough and can resist your dog’s attempt to chew it. On top of that, the crate is well-ventilated with claw-proof mesh windows that allow your pet a comfortable stay indoors through all seasons, including hotter summer months. What makes this indoor dog house strong and sturdy is the hollow metal frame that is also lightweight and easy to carry or move around. Also, this product is versatile in the sense that not only can it be used indoors, but it’s perfect for using in the car as you travel and for use indoors at your destination, whether a hotel or in a different house. Another unique feature is that the door can be at the top, on the front, or on either side of the crate as the wire mesh is connected with a heavy duty zipper that lets you determine what side you would like to use as a door. If you would like to get this for your pup, visit a store trusted by pet parents such as chewy.com. Ever imagined what would happen when you go camping or spend a day at the beach and you take your furry buddy with you and it hits you that you need some form of shelter or containment for your pal? Look no further than the Petego Umbra Pet Portable Dog Tent. In addition to being massive with adequate space for pups and adult dogs as well, you have the option to add a pet bed inside for maximum comfort. 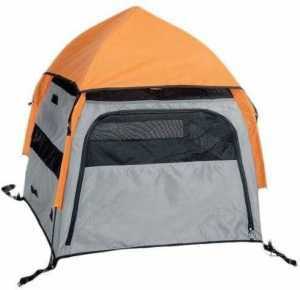 The tent material is tough enough to resist your pooch’s playful theatrics and the mesh window is claw-proof. Opening and closing the tent is very easy owing to a collapsible system similar to that of an umbrella. So, basically, it takes less than a minute to set up or collapse. An additional convenience is the portability of this dog house. It weighs only 5.12 pounds and comes with a carrying bag. So for those days you intend to spend in the park, at the beach, or going for a multi-day camp, you can rest assured that your pooch is covered too. 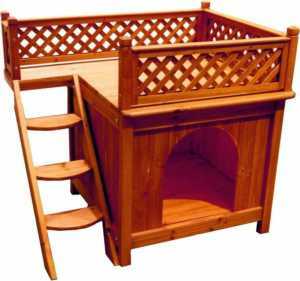 You will also be glad to know that this pet house comes in different sizes: small, medium, and large, making it ideal for dogs of all sizes. constructed from wood then varnished for an exquisite finish, making it aesthetically pleasing and able to blend well with any indoor house decor. Despite being made out of wood, this indoor dog house is light enough for you to move it around the house as you see fit. Knowing that air circulation in a dog house is vital, the back panel of this structure was equipped with holes allowing needed air circulation that helps keep the dog house free of odor. At 8.5 inches wide, this little house is wide enough allowing you easy access when you need to clean the inside area. In addition to this, the door is lockable with a simple yet effective magnetic locking system. 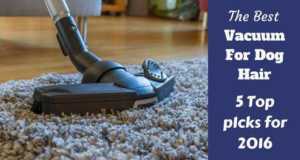 This structure is also versatile in the sense that it can be used by smaller dogs and still function as a cat litter. 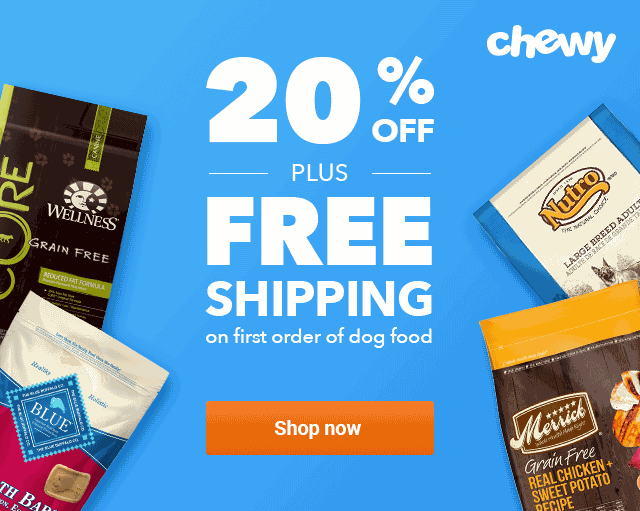 You can place your orders now on chewy.com or any other reputable pet store outlet. If your dog loves being indoors with you, then a sensible solution that would help this arrangement to work better would be getting an indoor pet house. Whether your pooch is small, medium, or large, there is a sea of options in terms of in-house dog houses to choose from. Of the options above, you can be sure of great quality as there are plenty of happy doggy parents already vouching for them. The most important thing, though, is that you choose an option that fits both your needs and your doggy’s needs.Size, style, comfort, looks, longevity, and functionality should be the foremost things you look for when settling on a dog house for the inside of your home.